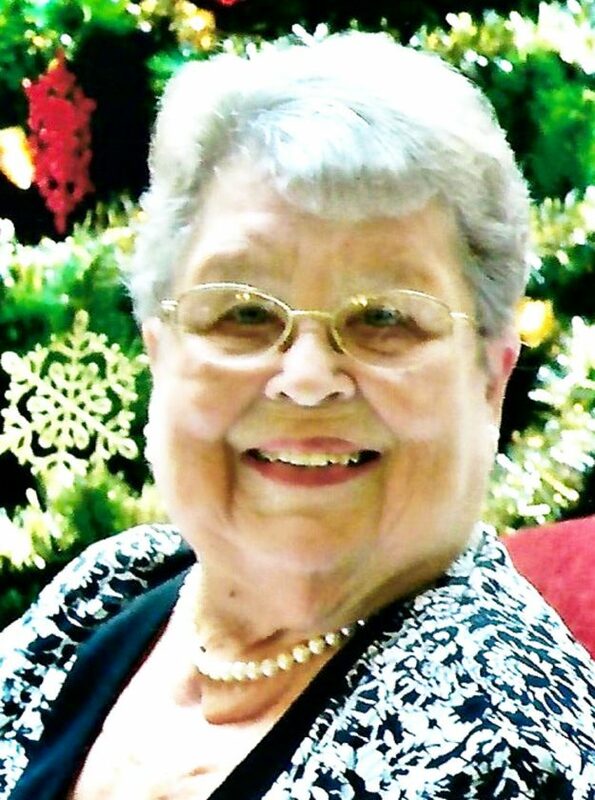 WESTFIELD- Beverly Jean Yeaney (nee Bushey), went home to be with the Lord on January 27th, 2019 at Brooks Memorial Hospital after a short illness at the wise age of 88. She was born in Painesville, OH on June 11th, 1930, the daughter of the late Charles and Helen Stark Bushey. She married her high school sweet heart, Lester, in 1952. They moved to Westfield in 1967 where they raised their five children. In addition to homemaking and child rearing, Beverly opened her own floral design business in 1976. You may not have known her personally but if you lived in Chautauqua County between 1976 and 1998, you were surely delighted and inspired by her beautiful and original floral, wedding, and event design. She was an active member of the First Presbyterian Church of West-field and a past Deaconess, a volunteer Gray Lady at Westfield Memorial Hospital and active with the YWCA in Westfield.Mourning her loss are her five children: Allen (Janet), Daniel (Jennifer), Stephen (Donna), Sherry (Dean), and Eric (Jacqueline); thirteen grandchildren: Sean, Alisha, Jay, Michael, Matthew, Erin, Brittany, Heather, Lauryn, Mitchell, Connor, Carrissa, and Alec, several great grandchildren and two half-sisters; Rita and Becky.She was a “boy scout widow”, having been preceded in death by her husband, Lester, as well as her parents, two sisters; Pearl and Elaine, and a half-sister; Susan.Beverly donated her body to the University of Buffalo School of Medicine and Biomedical Sciences for medical research.A memorial service will be held at the First Presbyterian Church of West-field on March 9th, 2019 at 3PM. The family will recieve friends for one hour before the service (2-3PM), at the church. A dinner will follow the service.Memorials can be made to the First Presbyterian Church of Westfield, 49 S. Portage St, Westfield, NY 14787.To leave a remembrance or post a condolence to the family, please visit freayfuneralhome.com.